Draft: 2013, Los Angeles Dodgers, 24th rd. When José is home in Puerto Rico, he likes going to the beach and reading…he's a big fan of author Dan Brown, thanks in part to studying history in college…he read Brown's Origin this offseason, but Inferno remains his favorite book...Loves to stream shows on Netflix, Hulu and Amazon Prime…his favorite show is HBO's Game of Thrones, and his favorite character is Samwell Tarly...José held a baseball camp in his hometown over the 2018 All-Star break, his first camp ever…he hosted 92 campers, including some with special needs, and may tailor the next one to kids with special needs...He received fan mail asking him to sign baseball cards depicting a player of the same name from the 1970s…he shared the photos on Twitter and sent back the cards with one of his own, inscribed with "This is me! "...José organized a GoFundMe campaign to raise funds for his native Puerto Rico following the destruction caused by Hurricane Maria in 2017… counting his own donation, he raised nearly $10,000 and donated supplies such as water, diapers and food...José was on the island when Maria made landfall…the Rays front office supported his decision to be there for his family when he was faced with the choice of evacuating…José and his family mistook the eye of the storm for its conclusion and were trapped at his aunt's house due to flooding…he was able to depart the island 10 days later...While with the Dodgers, word reached legendary broadcaster Vin Scully that José had been racing the clock to reach the majors before his retirement…Vin then arranged a meeting and signed a picture of the two of them as a gift...José took English classes throughout grade school in Puerto Rico, but was unable to carry a conversation when he came to the U.S. to attend Southern University…his very first college course was a history class with a 92-year-old professor with a southern accent so thick that most of his peers dropped the class…José, however, moved to the front row, determined that if he could understand that professor's English, he could understand anyone. Underwent Tommy John surgery on March 13, performed by Dr. James Andrews in Pensacola, Fla. …made 2 apps in spring training and was diagnosed with a torn right ulnar collateral ligament on March 8...Ranked by Baseball America as the No. 29 prospect in the Rays system following the season. Spent the entire season in the minors aside from a one-day stint on May 29 at TEX…made his Rays debut that night and was credited the win by the official scorer…allowed 3 R/ER in 2.2 IP and his 69 pitches were the most by a Rays reliever since Chris Archer on Sep 13, 2012 at BAL (79).... Became the 11th pitcher in franchise history to win his Rays debut as a reliever and first since Andrew Bellatti on May 9, 2015 vs. TEX.... Limited to 10 apps (8 starts) in the minors due to three stints on the disabled list…started the season on the disabled list with discomfort in the flexor mass muscle…also missed time with a strained lat and forearm tendinitis.... Was initially slowed in spring training by back tightness.... Ranked by Baseball America as the No. 25 prospect in the Rays system following the season.... WORLD BASEBALL CLASSIC: Added to Puerto Rico's roster for the second round, replacing Jenrry Mejia…started against Venezuela and did not allow a run in 2.2 IP, with 5 SO…his strikeout victims included HOU José Altuve (twice), TEX Robinson Chirinos, KC Alcides Escobar and ATL Ender Inciarte. Made 4 starts for the Dodgers in September, his first major league action…spent the remainder of the season with Triple-A Oklahoma City. Selected to the major league roster on Sep 4 and made his major league debut that night vs. SD, a 7-4 Dodgers win…his line: W, 6 IP, 5 H, 4 R/3 ER, 0 BB, 9 SO, 1 HR, 1 HBP, 86 pitches…was the youngest Dodger to win his major league debut as a starter since Nathan Eovaldi on Aug 6, 2011 at ARI…at 24, was the fifth pitcher since records are available (1913) to win his debut as a starter with 0 BB and 9 SO or more, first since WAS Stephen Strasburg on June 8, 2010 vs. PIT. Became the first Dodger to win the first 2 apps of his career as a starter since Kazuhisa Ishii in 2002…yielded 2 ER over 5 IP on Sep 16 at NYY, an 8-2 Dodgers win…was the first NL pitcher to win at Yankee Stadium within his first 2 career apps since FLA Aníbal Sánchez in 2006. Lasted just 3.2 IP and 2.1 IP in his next 2 starts, both no-decisions. Had a pair of DL stints with Oklahoma City due to ankle and shoulder injuries…went 7-1 with a 2.61 ERA, 111 SO, .194 opp avg. and 5.55 SO/BB ratio in 16 starts…named a Triple-A All-Star by Baseball America. Recorded double-digit strikeouts in 5 of his 16 minor league starts, including 3 straight immediately prior to his selection. Was a non-roster invite to Dodgers spring training…made 3 relief apps before being reassigned to minor league camp. Ranked by Baseball America as the No. 29 overall prospect in the minors entering the 2017 season…was the No. 3 prospect in the Dodgers organization and the No. 3 prospect in the Pacific Coast League following the 2016 season. April 19, 2019 Tampa Bay Rays transferred RHP Jose De Leon from the 10-day injured list to the 60-day injured list. Tommy John surgery. March 28, 2019 Tampa Bay Rays placed RHP Jose De Leon on the 10-day injured list. Tommy John surgery. November 2, 2018 Tampa Bay Rays activated RHP Jose De Leon from the 60-day injured list. April 10, 2018 Tampa Bay Rays transferred RHP Jose De Leon from the 10-day disabled list to the 60-day disabled list. Recovery from Tommy John surgery. March 28, 2018 Tampa Bay Rays placed RHP Jose De Leon on the 10-day disabled list. Tommy John surgery. October 2, 2017 Tampa Bay Rays recalled RHP Jose De Leon from Charlotte Stone Crabs. August 14, 2017 Charlotte Stone Crabs placed RHP Jose De Leon on the 7-day disabled list. August 4, 2017 RHP Jose De Leon assigned to Charlotte Stone Crabs from Durham Bulls. August 3, 2017 Durham Bulls sent RHP Jose De Leon on a rehab assignment to Charlotte Stone Crabs. July 17, 2017 Durham Bulls sent RHP Jose De Leon on a rehab assignment to GCL Rays. June 11, 2017 Durham Bulls placed RHP Jose De Leon on the 7-day disabled list. May 30, 2017 Tampa Bay Rays optioned RHP Jose De Leon to Durham Bulls. May 29, 2017 Tampa Bay Rays recalled Jose De Leon from Durham Bulls. May 21, 2017 RHP Jose De Leon assigned to Durham Bulls from Charlotte Stone Crabs. May 11, 2017 RHP Jose De Leon assigned to Charlotte Stone Crabs from Durham Bulls. April 4, 2017 Durham Bulls placed RHP Jose De Leon on the 7-day disabled list. March 15, 2017 Tampa Bay Rays optioned RHP Jose De Leon to Durham Bulls. January 23, 2017 Tampa Bay Rays traded 2B Logan Forsythe to Los Angeles Dodgers for RHP Jose De Leon. October 23, 2016 Los Angeles Dodgers activated RHP Jose De Leon. October 7, 2016 Los Angeles Dodgers reassigned RHP Jose De Leon to the minor leagues. September 4, 2016 Los Angeles Dodgers selected the contract of RHP Jose De Leon from Oklahoma City Dodgers. June 7, 2016 Oklahoma City Dodgers activated RHP Jose De Leon from the 7-day disabled list. May 16, 2016 Oklahoma City Dodgers placed RHP Jose De Leon on the 7-day disabled list retroactive to May 14, 2016. May 3, 2016 Oklahoma City Dodgers activated RHP Jose De Leon from the 7-day disabled list. April 7, 2016 RHP Jose De Leon assigned to Oklahoma City Dodgers from Tulsa Drillers. January 25, 2016 Los Angeles Dodgers invited non-roster RHP Jose De Leon to spring training. September 15, 2015 Tulsa Drillers activated RHP Jose De Leon from the temporarily inactive list. September 4, 2015 Tulsa Drillers placed RHP Jose De Leon on the temporarily inactive list. August 6, 2015 Tulsa Drillers activated RHP Jose De Leon from the 7-day disabled list. July 17, 2015 Tulsa Drillers placed RHP Jose De Leon on the 7-day disabled list. May 22, 2015 RHP Jose De Leon assigned to Tulsa Drillers from Rancho Cucamonga Quakes. April 24, 2015 Rancho Cucamonga Quakes activated RHP Jose De Leon from the 7-day disabled list. April 16, 2015 Rancho Cucamonga Quakes placed RHP Jose De Leon on the 7-day disabled list. 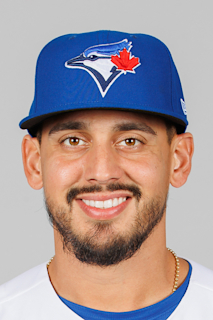 April 7, 2015 RHP Jose De Leon assigned to Rancho Cucamonga Quakes from Great Lakes Loons. August 12, 2014 RHP Jose De Leon assigned to Great Lakes Loons from Ogden Raptors. October 31, 2013 RHP Jose De Leon assigned to Criollos de Caguas. October 31, 2013 Criollos de Caguas placed RHP Jose De Leon on the reserve list. August 15, 2013 RHP Jose De Leon assigned to Ogden Raptors from AZL Dodgers. June 21, 2013 Jose De Leon assigned to AZL Dodgers. June 20, 2013 Los Angeles Dodgers signed RHP Jose De Leon.